The Great Blue Heron stood on a sand bar for a long time. I carried the big camera and the bigger (400mm) lens with me today. I was hoping to catch sight of the Great Egret that has been hanging out at a pond not far from here. I couldn’t stop this morning but I thought that maybe, just maybe if the bird was at the pond this afternoon I could get some nice lighting effects: the early evening sun backlighting that big, white bird might be spectacular! It seems the egret likes to fish that area in the morning. 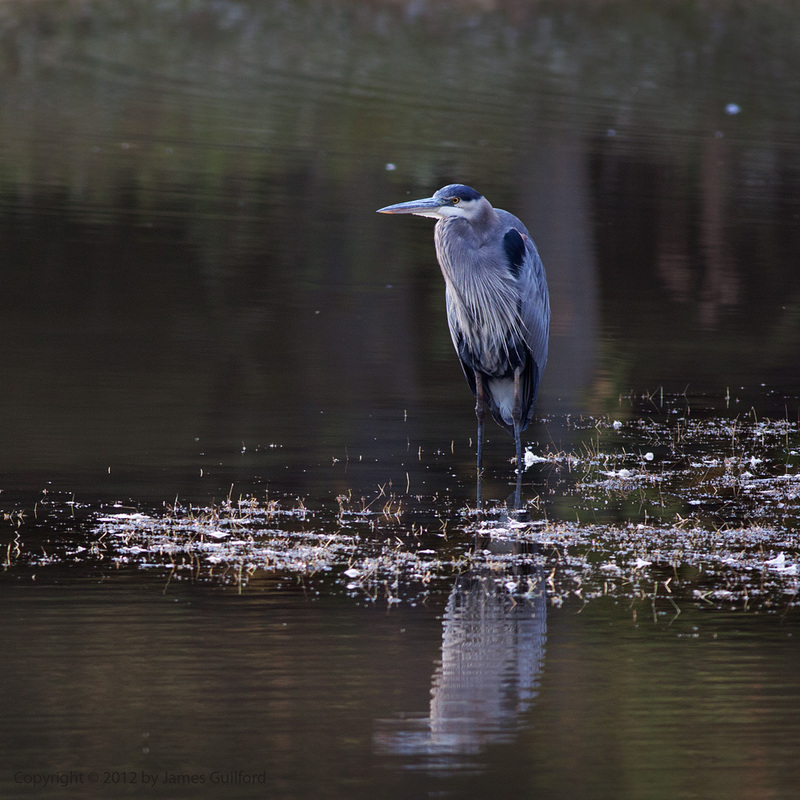 I was treated, however, to a different local… a Great Blue Heron. Fortunately, I happen to love photographing the “Great Blues” so, while I missed my imagined shot, I got something really pretty nice! The big wader stood, for a long time, on a sandbar near my observing blind. Later, at a leisurely pace, the heron waded away from me and along the far shore of the pond, actively fishing. I caught the pause at late day.